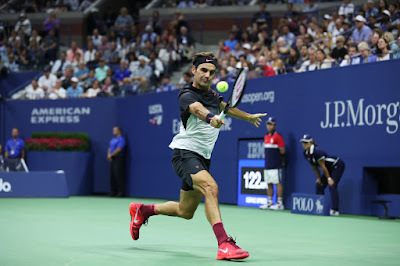 Five-time US Open champion Roger Federer set the highly anticipated quarterfinal showdown with Juan Martin del Potro after dismissing Philipp Kohlschreiber 6-4, 6-2, 7-5 on Monday night. He fired 39 winners, including 11 aces, while converting four of seven break points under the lights on Ashe. The last time Federer and Del Potro dueled on Arthur Ashe Stadium, it was the 2009 final. Del Potro claimed a five-set thriller for his lone Grand Slam title and eight years later, Federer will finally have his shot at revenge at the US Open. "I think we're different players today," Federer reflected. "We both play differently. Because of his surgery, I think his backhand has changed. He uses his slice much more. Just alone because of that, the game would be different. "I'm playing more aggressive, as well, on the return. I play shorter points. I don't use my slice as much, whereas he does now. It's a bit of a change. We did play each other in Miami, so I did get a sense of how it is to play him now. But the forehand and the serve is still identical, in my opinion. "He maybe even created more power by now just because years went by, better technology has come around. I think we're both more laid back today. It won't be a final, it will be a quarter-final. Obviously not as much riding on this match like it was in 2009." 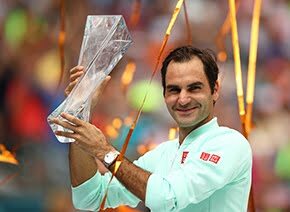 Federer will feature in the quarter-finals in New York for the 12th time in his past 13 appearances, dating back to his maiden title in 2004. The third seed is in fine form after survivng a pair of five-setters to open the tournament, having been pushed the distance by Frances Tiafoe and Mikhail Youzhny. He has since rebounded nicely, not dropping a set in ousting Feliciano Lopez and Kohlschreiber. Federer did not face a break point during his one-hour and 49-minute victory over Kohlschreiber. They remained on serve through the first six games of the opening set, before Federer broke for 4-3. He would take the opener after 38 minutes and converted two more break chances in the second set. Another break would prove decisive at 5-all in the third, connecting on a backhand winner, and he sealed the win in just under two hours. Federer, however, downplayed the timeout, declaring himself healthy and ready to go. "I just felt something, sort of my muscle being tight at the back," explained Federer. "I needed a bit of a rub on it and I just wanted to get it done as quick as possible after the set break. "It was more precaution. It's all good. No problems there. I'm not worried about it." 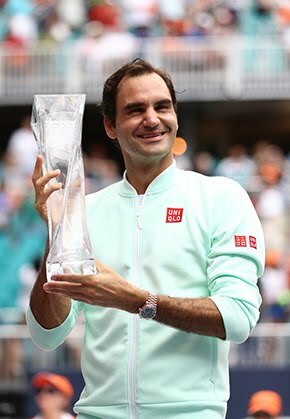 After extending his ATP Head to Head advantage over Youzhny to 17-0 and to 13-0 over Lopez, Federer moved to an impressive 12-0 vs. Kohlschreiber. Against del Potro, he leads 16-5, with their most recent clash having come at the ATP World Tour Masters 1000 event in Miami earlier this year. The 36 year old prevailed 6-3, 6-4. Federer will have the fatigue advantage over Del Potro in their quarter-final clash, following the Argentine's stunning five-set, three-hour and 34-minute victory over Dominic Thiem. "It probably feels like one of those matches I would like to play over again," Federer said about the 2009 final. "I feel like I would probably win it somehow because I should have been up maybe two sets to love or should have been up two sets to one. I don't remember what it was. I just had all these chances in multiple moments. The only time when he was really better, in my opinion, was the fifth set. Obviously that was good enough to beat me that day. "It was a good match. A lot of back and forth. Crowd was really into it. Started in the day, finished in the night. I mean, look, I was not too disappointed I don't think because I had a great run, you know, winning the French Open, Wimbledon and then the birth of my girls. Making the finals here was actually a good run. But it ended my five-year reign here in New York. I guess I was a bit disappointed. But Juan Martin did play extremely well. He beat Rafa and me back-to-back, so I felt like he deserved it at the end."